Below you can view all the homes for sale in the Buckingham Park subdivision located in Suwanee Georgia. 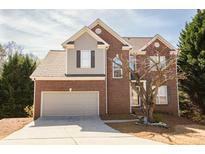 Listings in Buckingham Park are updated daily from data we receive from the Atlanta multiple listing service. To learn more about any of these homes or to receive custom notifications when a new property is listed for sale in Buckingham Park, give us a call at 404-998-4113. Enjoy Wrap Around Covered Deck & Fenced, Private Oasis Backyard W/Creek View! MLS#6535969. Keller Williams Realty Atlanta Partners. Premier Location: Close Access To I-85,Shopping,Restaurants,Mall Of Ga. Award Winning Schools:Suwanee Elementary, North Gwinnett Middle & Hs. MLS#6535354. Virtual Properties Realty.Com. Three Huge Decks Overlooking Fenced Private Wooded Backyard W/ Creek & Fire Pit, Cul De Sac Lot, Great Location And Schools, Close To All Shopping MLS#6521460. Re/Max Center.